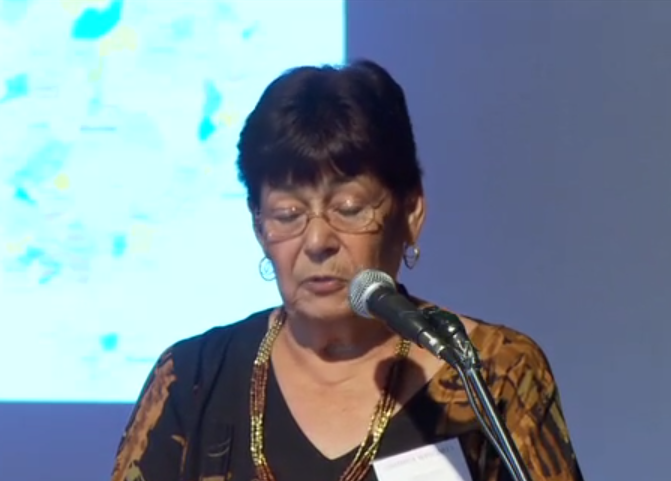 This video features two presentations from the opening session of the recent 11th International Narrative Therapy and Community Work Conference, organised by Dulwich Centre, that took place in Adelaide, Australia from 6-8 March 2013. Aunty Barbara Wingard, senior Kaurna Elder, welcomes participants to Kaurna land and tells stories from her own life to demonstrate the significance of practices of welcome. She particularly relates this to the experience of those seeking refuge in Australia as asylum seekers. Pohlin Lee works as a narrative therapist on Christmas Island, which is where people who are seeking asylum in Australia and arrive by boat are detained while their claims are processed by the Australian Government. In this presentation, Pohlin shares stories of her work with survivors of torture and trauma and the significance of ‘making now precious’. Thank you again for your wonderful presentations. I enjoyed them at the conference and this time I enjoyed them again! What I have taken away this time is how important it is to me to work with people in a respectful, gentle and honest manner. To be able to allow choice and work in a decentred manner is so important to me. Thank you for sharing your work and to your people’s that you work with for sharing their stories with us. It was wonderful to watch and hear your presentations again. At the conference I was struck by the preciousness of welcomes and goodbyes, but on my second viewing something different came to mind. I suppose the idea of reciprocity really stood out. It had me thinking of work I have done with children when I have used play or art (for communication or expression or comfort) in our sessions. Moments that are always really significant for me in these sessions are when children show interest in what I might be doing or ask me to participate in their art or play. These moments always seem like a special point in our relationship. It feels like I am being invited to share something of myself. As I reflect on this it makes me realise that in any work I do, this point of reciprocal interest is significant. I had been taught in the past to fear this, to be wary of disclosure. But listening to your words reminds me of how important it is to respond to such invitations in a way that honours the person and the invitation. If I consider it important how a person responds to my invitation to share their stories and welcome me into their worlds, then why should it be any less important how I respond to an equal invitation? If I honour this invitation I am now sure it opens up many more possibilities than if were to avoid or deny the invitation. Thank you both for making my understanding of these moments and their preciousness clearer to me. Having spoken with you both I have been privileged to witness your skills and willingness to share of your selves as well as inviting the other person to equally share.